Just out of college, Gary Vaynerchuk grew his family wine business from a $3M to a $60M business in just five years. Now, he runs VaynerMedia, one of the world’s hottest digital agencies. 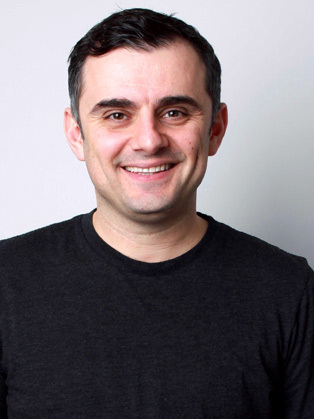 Along the way, Gary became a prolific angel investor and venture capitalist, investing in companies including Snapchat, Facebook, Twitter, Uber and Venmo and co-founding the VaynerRSE fund. Gary appears with Gwyneth Paltrow, Jessica Alba and will.i.am on Apple’s original series Planet of the Apps, launching in spring 2017. In addition to running digital agency VaynerMedia, Gary also serves as CEO of holding company VaynerX, which houses VaynerMedia and The Gallery, a new publishing company Gary started after acquiring leading women’s lifestyle property PureWow in January 2017, with his business partners at RSE Ventures. Gary also serves as a partner in athlete representation agency VaynerSports and restaurant reservations app Resy. With more than 3.5 million fans on social media, Gary shares his ongoing journey as an entrepreneur in his daily vlog, #DailyVee. He also hosts The #AskGaryVee Show, on which he answers questions about digital media, entrepreneurship, leadership and more, based on a lifetime of building successful, multi-million dollar companies. The show is also available as a podcast on iTunes, Stitcher, and SoundCloud. Gary serves as a board/advisory member of organizations including the Ad Council and Pencils of Promise, and is a longtime Well Member of Charity:Water. Gary also frequently keynotes at conferences such as Le Web, ANA Masters of Marketing, Web Summit and more.